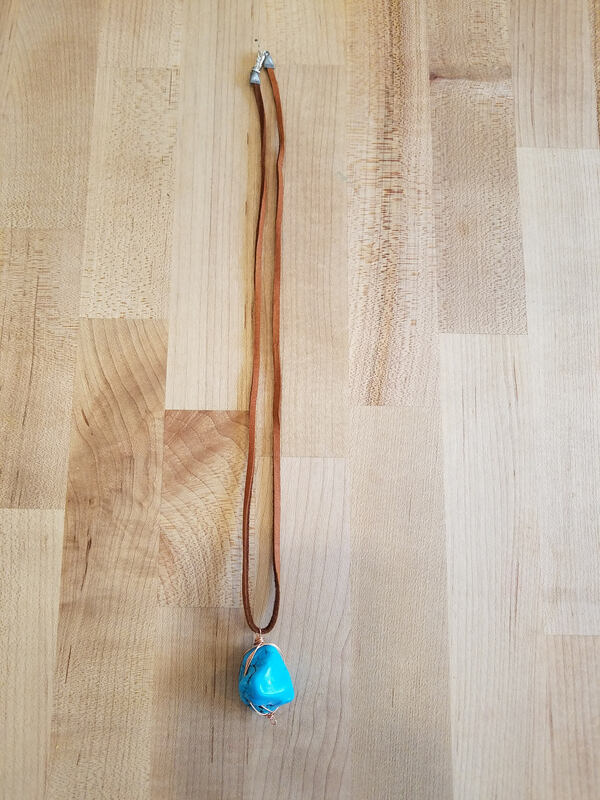 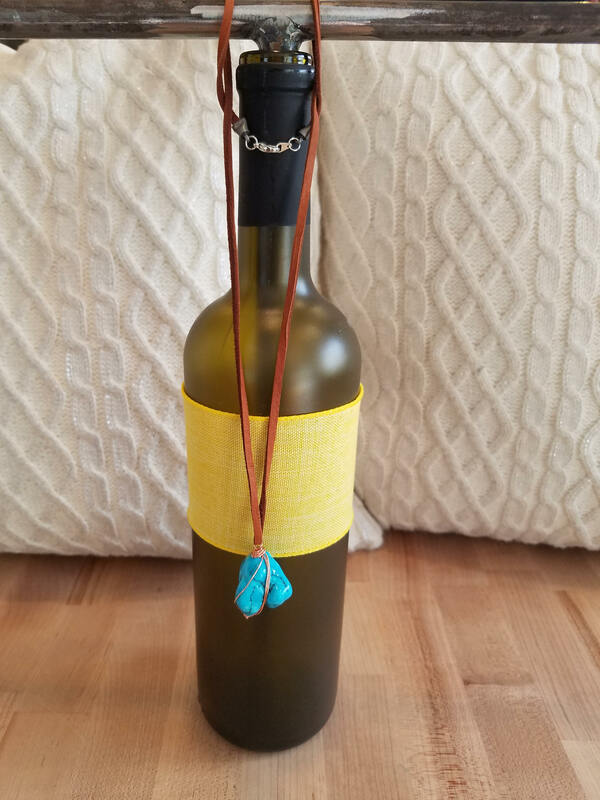 Turquoise and Leather necklace 22 inches long ! 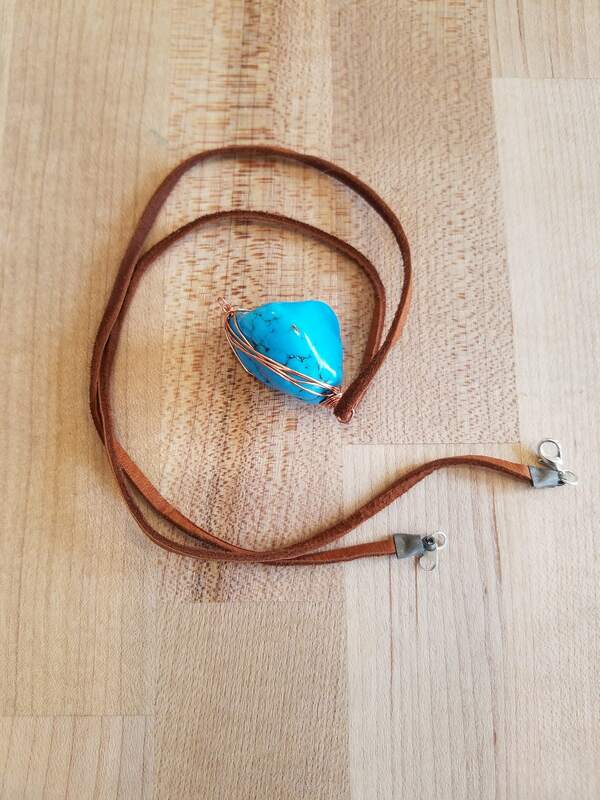 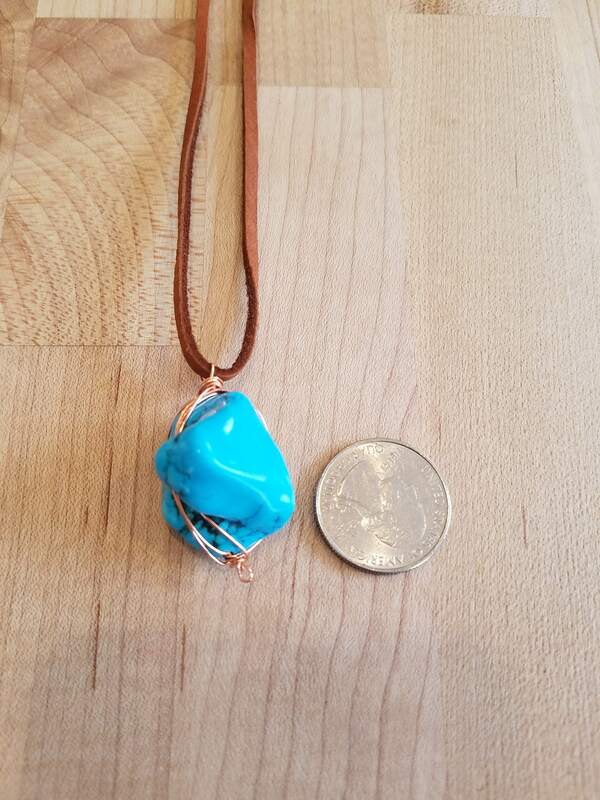 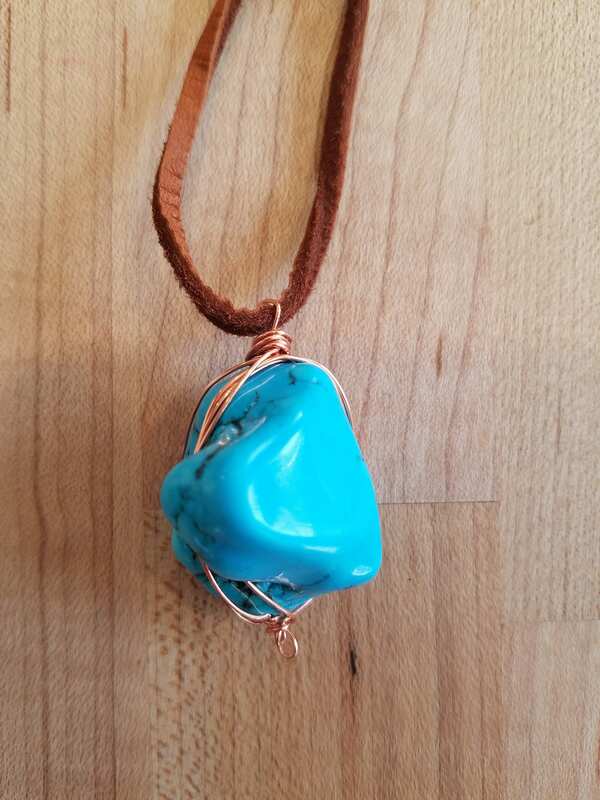 This is a 22 inch long dark brown leather necklace with copper wire wrapped turquoise pendant. 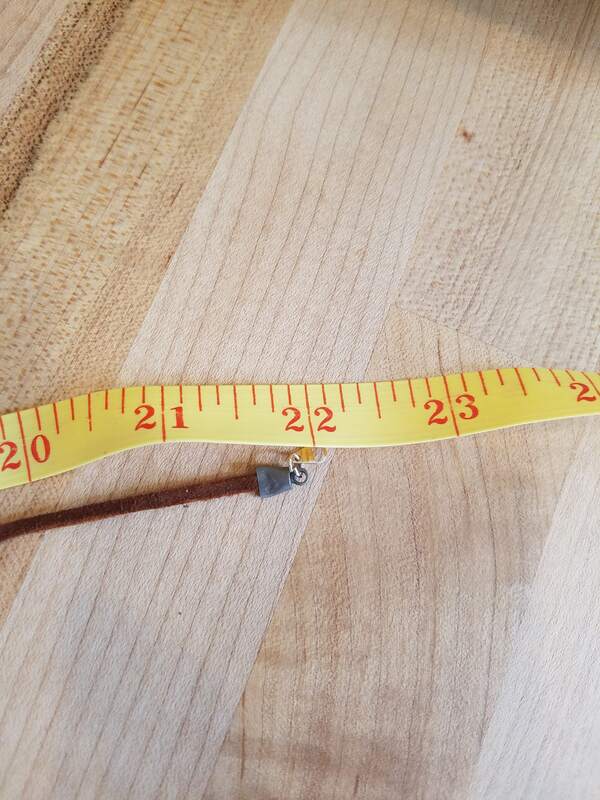 It has a claw clasp.